Welcome back. You may recall my reporting that, when I exchanged my 10-year Virginia driver’s license for Wisconsin’s, the Dairy State figured I wouldn’t last more than three years (Settling In Part 2). Well, I’m still here, so I had to renew my driver’s license. Had my mother seen my new license photo, she would have laughed and said I looked like death warmed over. 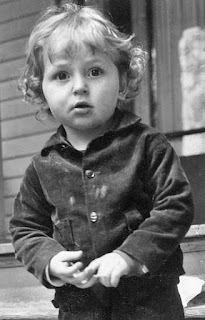 I was quite handsome in photos through my toddler years; ever since, I’ve looked acceptable, at best. Photogenic, I’m not, though because of my abundant charisma, I’m occasionally saved by a talented photographer. This of course made me wonder about dating apps like Tinder or OkCupid, where one’s photo is vital. But then I found something on the topic that was much more interesting to wonder about. A recent study from Scotland’s Abertay University examined whether creativity could compensate for lack of photographic attractiveness. The researcher conducted three experiments which involved rating the overall attractiveness of people whose faces appeared in photos paired with creative work attributed to them. First Experiment: From a publicly available database of face photos independently rated for attractiveness, the researcher selected 16 photos--4 attractive and 4 less-attractive of each gender, all Caucasian with neutral expressions, no adornments and gazing directly forward. 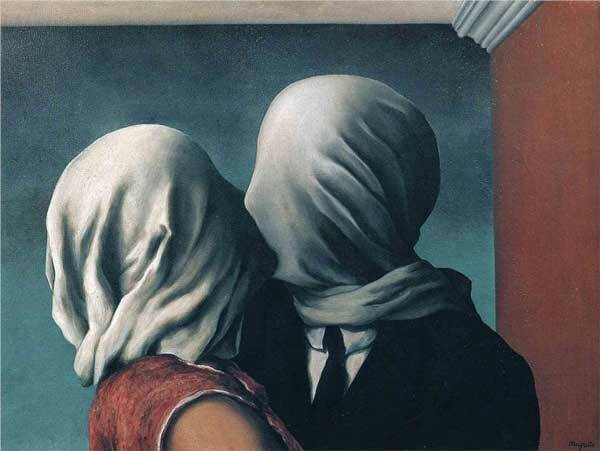 Separately, 38 participants (19 female), average age 28, each spent up to 5 minutes writing a short story about what was happening in the painting The Lovers by René Magritte, 1928. 1928; Australia’s National Portrait Gallery. A panel of judges (average age 27) rated each story for several traits related to creativity, and a composite measure of creativity was calculated. From these, 4 creative and 4 less-creative stories by each gender were selected. The 16 photos and 16 stories were paired to arrive at 2 attractive, creative; 2 attractive, less-creative; 2 less-attractive, creative; and 2 less-attractive, less-creative for each gender. Finally, 89 participants (68 female), average age 23, rated the paired photos and stories for overall attractiveness, without seeing or being provided information about the painting. Second Experiment: Sixteen lists of six uses for everyday objects (half creative, half less-creative) were prepared, judged and combined in a manner similar to that for the stories. As in the first experiment, the lists were paired with the photos for rating of overall attractiveness by 104 participants (55 female), average age approximately 25. Third Experiment: The last experiment was identical to the first, except the 16 photos were selected from a different database. The paired photos and stories were rated for overall attractiveness by 97 participants (mostly male), average age 24. The results suggest creativity benefits males more than females when it comes to judging attractiveness. In the first experiment, creative males were judged more attractive than less-creative males. For females, however, facial attractiveness ruled to the extent that attractive, less-creative women were preferred over less-attractive, creative women. Moreover, creativity did not enhance the overall attractiveness of females with attractive faces. In the second experiment, creativity had a more substantial effect on the overall attractiveness of males with less-attractive faces than it did for males with attractive faces. For females, facial attractiveness again had a more substantial effect on overall attractiveness than did creativity. Less-creative, attractive females and creative, attractive females were equivalent in overall attractiveness. It was only in the final experiment that creativity strengthened the overall attractiveness of both men and women with less-attractive faces. While the effects of creativity when judging attractiveness may be clearer for men than for women, one may never get beyond visual cues. Nevertheless, another recent study argues that a more balanced approach--one that integrates visual, auditory (voice) and olfactory (scent) effects--will provide stronger evidence regarding the complex factors underlying human attractiveness. What do you think? Thanks for stopping by.